Doctors Cyrille Cazeau and Yves Stiglitz are the editorial managers of the website. Dr Cyrille Cazeau is an orthopaedic surgeon, specialized in foot and ankle surgery (his resume here). He created the website www.chirurgie-du-pied.fr in 2008 to answer a high information demand on foot and ankle pathologies and their treatments. 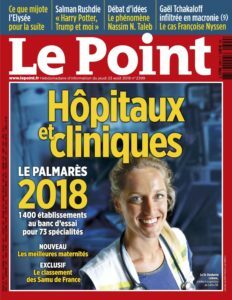 From its creation, the website received the “Grand Prix” at the French medical congress Les Entretiens de Bichat in 2008 for the quality of its content and its clarity. Dr Yves Stiglitz is also an orthopaedic surgeon, specialized in foot and ankle surgery (his resume here). He joined Dr Cazeau at the end of 2011 to contribute to the enrichment of the website’s content and its permanent update. This site doesn’t replace the direct relation between the surgeon and his patient, only way to establish trust between them. In such a consultation the practitioner develops his expertise to give the patient the best advice, adapted to his precise situation. The authors thus decline in advance any request of medical advice through this website or by email. The authors guarantee that this website is on their own financial duty. They do not receive any grant nor contribution to run it. No ad is presented on the site and all external links are inserted for their editorial interest. Dr Cazeau doesn’t receive any remuneration, direct or not, for the promotion of the surgical techniques exposed on this site. However, he is a consultant for the company SBI (Small Bone Innovations) for the training of surgeons to these techniquess. Dr Stiglitz doesn’t receive any remuneration, direct or not, for the promotion of the surgical techniques exposed on this site.